In 2006, when I (Ben) first began looking for a boat, I considered only 3 options: a Bristol Channel Cutter 28, a Nor’sea 27, and a Falmouth Cutter 22. When Teresa looked for a boat… it was a Nor’sea 27 or nothing. It was easy, for both of us it was Lyle Hess or go home. This time, as a team, Teresa and I considered about 43 different designs. We didn’t really keep count along the way, those are just the ones we can remember. The entire 2 year process was a learning experience for both of us. We each focused on different features, and when the other would question why, it was an opportunity for us to learn, and discuss. 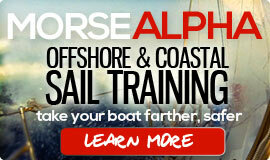 We help a lot of people who are starting their sailing journey via sail training and consulting. Too often we see the boat decision and process being the man’s domain. The brokers know this well—when we looked at boats together they showed Teresa the galley and me the engine room. At first it frustrated us and we tried different tricks to break down the blue and pink stereotypes. But as time passed we developed our own processes for inspecting the boat that didn’t really involve the broker, and they learned to just leave us alone. 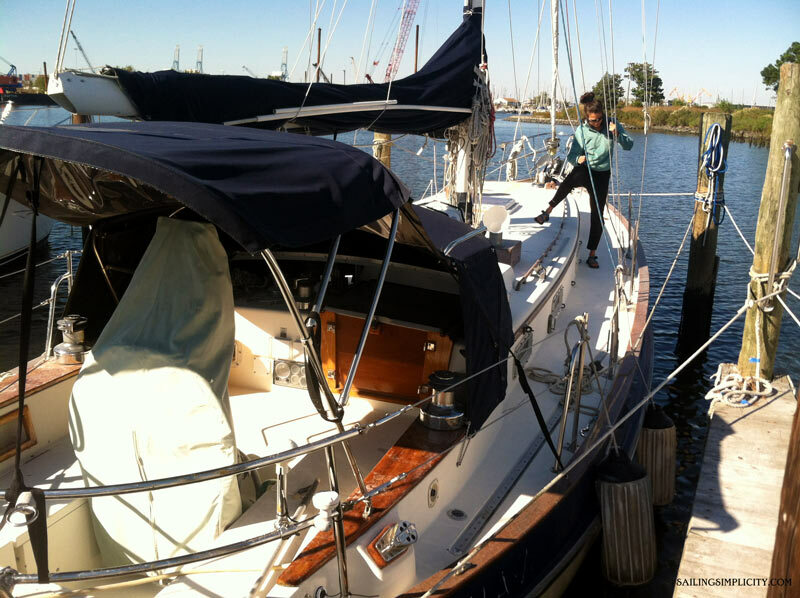 Our official search began in Annapolis in the spring of ’12, the day after we sold Elizabeth. Our first focus was on the Cabo Rico 38, our friend Roger Olson spoke highly of then. We visited a bunch, and wrote about one in particular here. Most suffered similar problems namely, a rotten cockpit floor under the pedestal. But, after seeing about 3 or 4 of them, we realized it wasn’t the right boat for us. 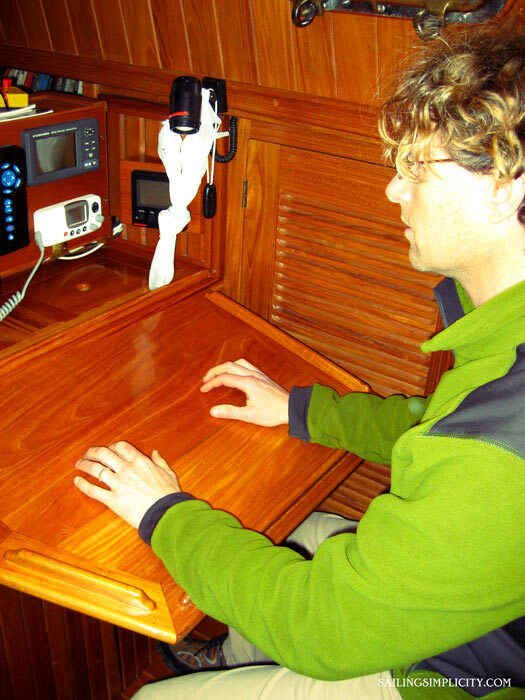 We found the nav table that folded down to be impractical, and aesthetically, the clipper bow seemed a bit overstated. But one of the real killers was the short waterline length. A logical progression for a former Bristol Channel Cutter owner is the Cape George 36. Beautiful lines, full keel, cutter rigged with a bowsprit, plenty of bronze… nearly a bigger version of the BCC but with a full length cabin. They build their boats with a laid teak deck and horizontal chainplates – very unique. We got aboard one that wasn’t for sale to check it out. Loved it. There was a beautiful one for sale in our price range on the west coast. We hemmed and hawed over making an offer, while researching the pros and cons, and establishing our “said and done” price, which includes things like adding solar panels, self steering, new standing rigging, etc. There was some signifigant rot discovered in the lazarette, and considering the repairs required along with equipment needed, we decided to abandon ship. I’ve always loved the Westsail 32, and briefly considered one back in ’06, but decided it was too big/heavy for me at the time. Now, 6 years later, it seemed the 32′ might be too small, although we did go see a few just to be sure. But the Westsail 42 and 43 were definitely on our radar. We visited with Drake and Mo aboard their W42 Paragon, and loved it. We went to see Eric Forsyth give a presentation. We thought we had found a winner. But we couldn’t find one in our price range, in the right location, with the cutter rig, that didn’t need a lot, I mean, a lot of work. We didn’t want a project boat, and knew we’d rather be out sailing than spending our days and dollars tabbing in new bulkheads and replacing old engines. But we kept looking for Westsail 42’s because we liked the lines, LOVED the awesome booth, and put confidence in their stout seaworthyness. 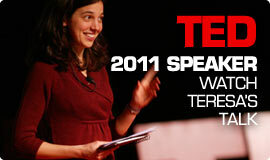 Now, Teresa and I have always had an extra warm fuzzy spot in our hearts for the double-ender. Our Nor’seas were double-enders… with a bulbous stern. We did almost make an offer on a gorgeous Alajuela 38, but the lack of ¼ berth, and the smallish interior gave us pause. 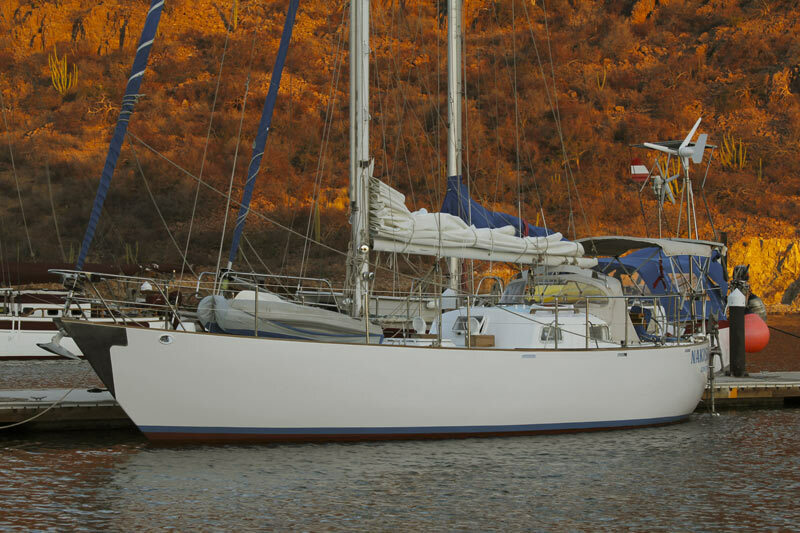 Another double-ender that we love is the Freya 39 and it’s bigger sister the 42′, of which I think only one was built. One mid winter week in the early days of 2013, we drove to Mexico to go check out a steel Freya 42. We love love love flush decks. I think that must come from my days aboard schooners, where you’ve got plenty of deck space to spread your legs, lower your stance and haul with all your wits on the main peak halyard or some flogging topsail sheet. After discussing the pros and cons of steel with our friend Dave Martin, we made an offer on the Freya 42, but the hassles of both buying a boat in, and getting a boat home from Mexico eventually soured the deal. At the Annapolis boat show we met up with Bob Eeg, builder of the Nor’sea 27, and got to talking about the elusive Nor’sea 37. We learned three hulls had been built, but only one was known to still exist, and it was half way finished. 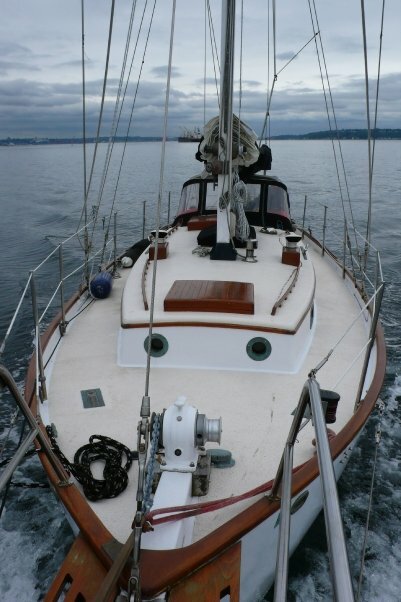 Our interest was peeked, it would be a perfect solution for our Lyle Hess love affair, not to mention, she’s a double ender, with an aft cabin, cutter rigged, sleeps 6, and super unique. We looked over the design drawings and in our minds began decorating the interior, planning our first voyage. That dream ended abruptly when an email from Bob laid out the price breakdown to finish out the interior, install the rig, buy the hardware, the sails, the systems etc, etc, etc. Nevermind, what were we thinking. We need a good old boat, something used, but loved, or at least liked a lot. Somehow we stumbled upon the Reliance 44. A sleek, semi-full keel ocean going cutter, that could sleep 6 – which had become our new #1 criteria. We were developing ideas of sail training expeditions and ocean conservation media projects, and each called for accommodating up to 4 guests. The idea of hatching a little family didn’t sound too bad either. We found a nice Reliance 44 in Maryland, and went to have a look. She showed well enough, but after thinking it through, the extreme overhang aft and the shortish waterline began to tarnish this shining Canadian classic. 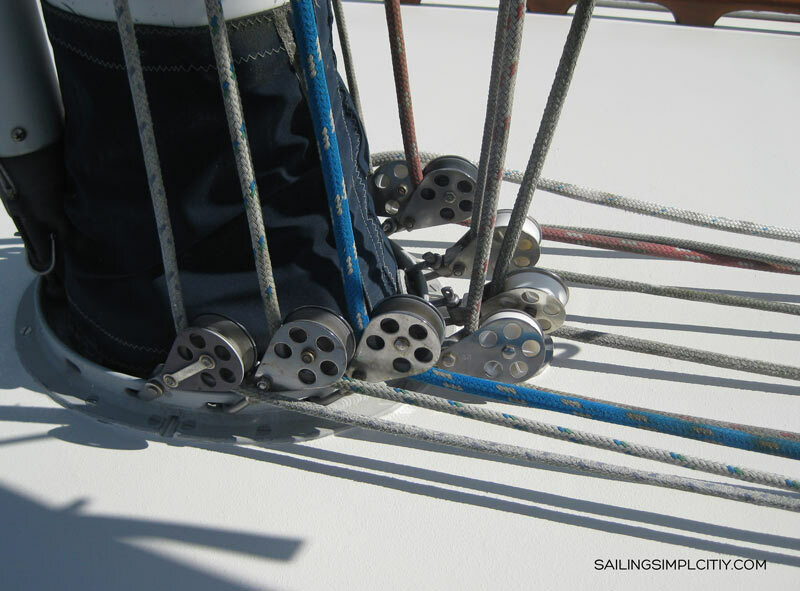 Plus, she had a roller furling boom and lines led aft — two “features” we were trying to avoid. During the summer, I spent a few weeks aboard American Promise, Dodge Morgan’s round the world record breaking 60′ cutter designed by Ted Hood. She was a fast, nimble 60′ for her era. 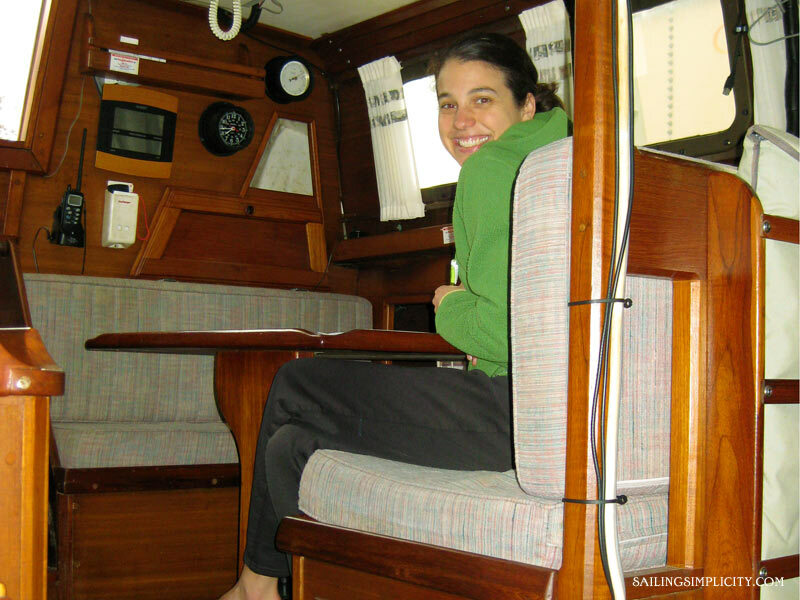 Sailing aboard American Promise was a turning point in the boat decision process. While Teresa had long been in favor of more modern designs, only now did I began to really appreciate the speed and upwind capabilities if the fin keel. All of a sudden, I wasn’t ignoring the fin keel designs, but rather seeking them out. It was a new world. We looked at the classic fin keel Valiant 40. The size was a bit more manageable, and they’re a proven passagemaker. We researched the blister issues and found a few non-blister boats (pre ’76, post ’85) to begin our pursuit of what we thought might really be the boat for us. They were in our price range (for the most part) and like the Nor’sea had a pleasantly plump, slightly pointy stern section. We stepped aboard one in Annapolis and Teresa dissapointedly announced, “This is our boat”. I was stunned. It was a dark, tired old gal from the pre-blister era. “Seriously, you wan’t this boat?” I replied. “Not really” she said, “but it meets all our criteria, and this is what we can afford.” We inspected a few other post blister V-40s for comparison, read the forums, joined the Valiant owners Yahoo group and asked our friends John Kretschmer and John Neal for advice. It all looked real promising for a Valiant 40. The one in our price range had a few drawbacks, namely a rotten forward bulkhead and all lines led aft. It was about that same time that we began looking at the Norseman 447, another Bob Perry fin keel design. We had not considered Taiwan built boats up until this one. The black iron tanks, lower quality stainless, as well as the typical teak decks had kept us away. All of the N447’s for sale were on the west coast. Having never even seen one in person, flying to go see one for the first time didn’t feel like a good idea. We put a call out on the Yahoo Group and found one nearby we could visit. She was a fine example of a 25 year old Norseman 447, we loved it. She would work well for our new project Ocean Courier, an ocean conservation media project which invites scientists, journalists, filmmaker aboard, as well as intimate (2-4 people) sail training expeditions we plan to kick off this summer. 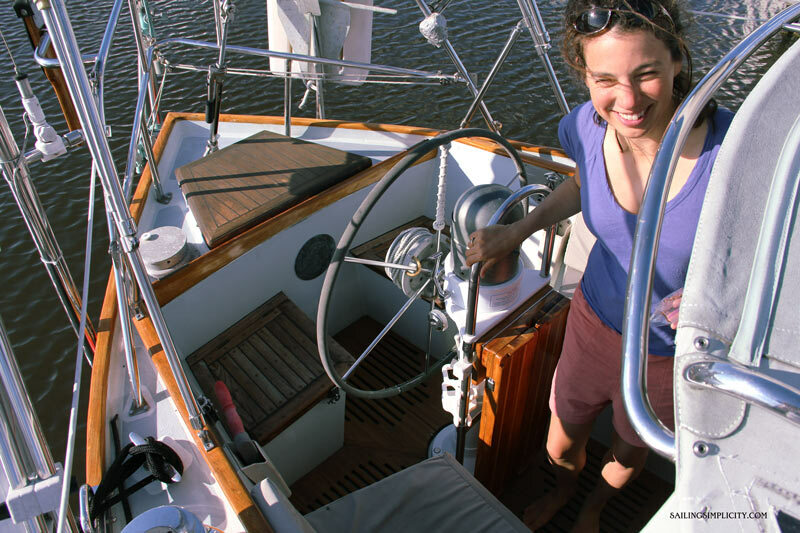 Now if we could just find one we could afford on the right coast, without teak decks, lines led aft, roller furling mains’l or a blinding pod of electronics at the helm, and was in relatively good condition for her age, we might have a winner. Sounds like you made the right choice and she’ll be a great boat for you guys. I assume Dory loves it, or is he not aboard yet? Sadly Dory hasn’t seen the boat yet! We had a hard time arranging our travels to Panama, with many roadblocks. One of them was bringing Dory. He is with a friend right now. But I’m exciting to see where he will explore first! There are lots of cubbies and places for him to hide. He loves that. P.S. Just recently discovered your blog, and FB presence, and am happy to have found you. I appreciate all the information and education that you provide. The Baba 40 would be a fine boat. However, we didn’t consider them because we did not want teak decks and aesthetically it didn’t interest us. Overall, however, I’m sure there are many great Babas out there! Wow you two looked at a lot of boats! After that very thorough search you landed a great boat. The Norseman 447 should suit your needs well. How is “One Simple Question” coming? Thank you for the comprehensive list and all the great info! The hubby and I are finding that our current boat, our beloved home and cruiser for the last several years, no longer meets our needs. We’ll be looking in the next few years. You mentioned the Crealock 37 and the Halberg Rasseys did not hold your interest. Mind sharing why? I’ve been interested in those models, but what to hear opinions on all sides. Thank you for all you do! Good luck with all your adventures on the Norseman! It’s beautiful! What do you think about Hans Christian design? I was thinking the same thing. I’m currious to get Ben and Theresa’s viewpoint on the Hans Christian. I am so happy that you found your boat. I was also happy that the reasons for your choice were pretty much as mine. I found my Montevideo 43 out of an accident while helping a friend surveying a sailboat he was interested in in the south of Portugal. My friends boat, a well sound looking ferrocement built cutter wasn’t really that sound after some hours of investigation. As the sales man tells us there is two other “objects” in the marina that maybe suits my friends needs. After all we flied 3 hours to come there. And then there she was…. abandoned over 6 years in the marina, dirt on the decks, mold inside, canvas work bleached and teared, but she was beautiful and fulfilled much of my criteria. Luckily my friend did not share my enthusiasm and did not saw what all the fuzz was about. 2 months of hard work in the yard in Portugal and we sailed her to Sweden, late september, me with another friends help. 13 days later we were home, 1750nm, for me that was fast! We have a nice aft berth with our own heads and place for up to 6 guests, but 4 will be far more comfortable. We will be leaving Sweden in 3 years and move in on board permanently. As I work as PADI Instructor, Life Coach and skippering Josephine with guests, most of my work is in Josephine. Later we will be doing scuba live aboard in a more personal environment, 2 guests at a time. Love meeting new people and developing new relationships. So having a couple of guests at a time it’s perfect! I want to thank you guys for sharing your wonderful life and plans. Congratulations on the new boat. Congratulations to you! We looked at the Montevideo 43 as well… I see I missed it on my list! Nice choice of boat, glad you are getting ready to head out! Maybe we’ll see you in Sweden! What a thorough job you did in searching for your new boat. Good on you! I loved reading your thoughts about your evolving search. Congratulations on your final good choice for you. My husband Bill and I went through a similar journey in 2009 when we finally bought our Crealock 37, Terrwyn. We absolutely love her and she has proven to be both sea worthy and sea kindly having taken us 2/3 around the world (she is now waiting for us in Simonstown, South Africa). We plan to sail her to Trinidad starting this November and leave her there for a season (good excuse to do some exploring of the Caribbean!). After that we plan to sail back to New Zealand and keep Terrwyn there at our New Zealand residence (yet to be purchased!). Believe it or not we have just recently purchased our “Northern Hemisphere” boat!!! She is a BCC 27 glass hull – 20 years old and in pristine condition. She just seemed to drop into our lap and at the right price… how could we resist? We plan to be ‘snowbirds’ once Bill retires – perpetual summer… between New Zealand and Vancouver Island and it is essential to have a boat in both places. Right? Imagine… Bay of Islands (not to mention access to the South Pacific Islands) for 6 months and Desolation Sound and all the interesting islands and bays of Canada’s northwest coast. Both Bill and I follow your blog and story and admire your passion, tenacity and enthusiasm for sailing and life in general. And your way of being with each other (after all, it’s not about sailing… it’s about your life together! That’s our motto.). Good luck to both of you in all of your new projects with your lovely new boat. (Did you get the Norseman? What is her name?). I’m just doing the 1200 mile leg.. Which Norseman is that? We’re aboard ours in Panama – is the one you are crewing on here too, or La Paz? Hi Ben, it’s in huatulco [Oaxacan coast]. Were leaving from there to Galapogas the first week in April. So that’s the same boat you guys decided on. Great! Beautiful boat! Lots of room… Center cockpit or aft? Let me know if you guys are interested , but most likely you’ve got your hands very full. Oops, the name of the Norseman 447 is Albitross! We have a Lord Nelson 41 and were wondering whether it was considered. 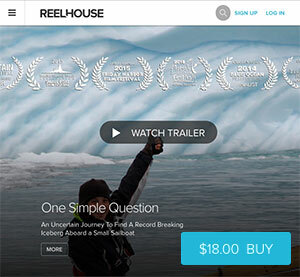 We love the design, it sleeps 6-7 with 3 cabins. The teak decks may have disqualified right off. Care to comment? Briefly considered the Lord Nelson. It’s hard to say why it didn’t stick with us. Teak decks were definitely not on our list of requirements 😉 But I think we shied away from some the Hans Christians, Lord Nelson, Baba type boats for some aesthetic reason, and I can’t pinpoint that exactly. They are all beautiful boats. As the process drew on, a lighter more nimble boat nixed the heavier boats like the Lord Nelson. But ask me next year… it will probably be all different! Looks like a nice list of boats you had. There are some I would consider if I were to upsize from my Norsea but I love my boat and plan to hold onto it for many years. Looking forward to seeing more of your new boat. You list some excellent yachts, many of which where on my own wish list. Instead of a heavy weight cruiser I ended up with a light weight production yacht – Miss Chips. I don’t regret it though, she is roomy, fast and very comfortable to live aboard. We can take guests in comfort too. Really good article you guys! You really take the reader through the whole process. We have shared it through the Distant Shores TV Facebook Page since we know it will be of great interest to anyone going through the boat-buying process themselves. I think I missed something…I dont see in this post what boat you bought? I’m surprised you guys didnt look or even consider on of the many Hans Christian models. Being double ender and bowsprit people I thought for sure you would fall in love with one as we did. Best luck with the new boat and your adventures. I think this would be a natural. A couple who wanted to do what you want to do and a couple who CAN do what you want to do. I think that if you tell the owners about yourselves, you may be surprised what they say. 1) On one of your earlier posts (months ago) you mentioned that the Outward Bound pulling boats teach aspects of sailing not often exposed by other boats. Could you elaborate? your standard keelboat. They are doubled ended like the lifeguards surf boats so I assume they could be rowed through heavy surf and handle following seas. Plus they are wooden –hence could be repaired anywhere. 3) Based on your experience as an Outward Bound captain, do you have any other information/views on their pros and cons? My understanding is that Outward Bound is going to a somewhat different design in fiberglass. Also, could they reach hull speed in 15 knot winds and would you think they could handle 6 foot waves offshore if weighed with rock ballast or stores? 4) Also, could two people row them and get them off the beach or would more be needed? Don, You ask a lot of interesting questions about some very special boats. Why are you interested? Are you planning on building a pulling boat? 1) I have not decided yet — and if I did it would probably be a smaller boat like the Swampscot dory. Years ago I visited Lowell’s Boat Shop in Amesbury and saw one that had been almost completed. 2) I also looked at the Outward Bound sailing course years ago but decided to take some ASA courses instead because they taught how to handle the more commonplace sloops. However, I am reconsidering that. 3) I tend to look at the original intent of tools. The sailboat is the only tool that originally let one haul heavy loads of provisions for long distances with low technology (iron chisels,etc.) Yet today the Coast Guard has to constantly haul people out of trouble even with accurate weather forecasts and diesel engines. What would people do without NOAA forecasts, radios, and mechanical engines? 4) The East Coast has hundreds of miles of sandy coastline (Assateague island in Maryland, Hatteras in North Carolina, etc.) that could be a refuge in a storm and yet almost none of our sailboats can land on a beach through heavy surf. 5) Years ago, I went for a morning walk while on vacation in Cape May, Maryland and came upon a small sloop (about 28′) stranded on the beach, lying on its side and smelling strongly of gasoline. The Coast Guard Academy is nearby and of course some officers came out and mocked the owner cruelly for letting his anchor drag. A huge , expensive crane had to bought in. 7) There would be the problem of getting the boat off the beach, of course. We don’t have too many teams of oxen wandering around nowdays. It may be a Walter Mitty daydream but I wonder if there is someway to unchain from the Inland Waterway and marinas. Thanks for you and your husbands story, it has inspired my wife’s and my retirement dreams. 4 years to zero hour, lots to learn, but Sailing, Simplicity, and the Pursuit of Happiness is a mantra we wont forget. Hi Ben and Theresa, I’m a LONG time (30 yrs) houseboat/house barge liveaboard who also LOVES double Enders ; I spoke to Teresa back when she was selling the NorSea 27, a boat I’d seen years earlier and fallen in love with! I have a like double ended keelboat, a Skipper 20, docked where I live on my barge in Brookhaven Hamlet. If you guys would ever like to come for a meal and discuss cruisers, I’d love that. Another design I wonder if you’d looked at is the Perry designed Pan Oceanic 46, which was marketed under several different names, or the La Fitte 44. Be in touch! Looking for a cruiser myself for years now, will buy when I cash in my housebarge, etc. best of luck! ?? That sounds great! Thanks so much for the invitation. Please do keep in touch. What about Downeaster 32 and 38??,.. they seem to be fairly solid boats(albeit not the prettiest) and often very good value for money. Loved your article… started me thinking… I seem to appreciate and seek out many of your criteria… I was unsure why Steel was not higher up the list.. have sailed several serious cruising boats of steel, and when properly insulated (I sail in Norway where it’s cold) they make truly robust cruisers… I’d like to take this opportunity to point out a particular European series of boats you might like. They are from Denmark and designed by a Dane called Peter Bruun, there are 4 in the Series, all of which are fast fin keeled double enders. Strongly built with a rather unique look.. Bruun certainly didn’t use a ruler when designing the boats and curves are everywhere. The biggest is a 34 footer called Kaskalot, next is a 28 ft. Grinde, then there’s the small Spækhuggar (24ft.) and finally the Marsvin (22 ft).. Bruun was fascinated by whales and all these names are Danish for different whales. incase you’re interested here’s a link https://grinde.wordpress.com/… I myself owna Grinde and sail out of Stavanger Norway. I am looking at a Freya supposed to be, 41. What was wrong with the Hallberg-Rassy? they are built to sail and insure the 7 seas!! Sincerely, Joe W.
We have been huge fans of you both for quite some time and admire all you have done to put together such a great adventure in your life. We have just recently moved back to the states to The Cape, from USVI St Thomas, St John we had been down there for the last 5 years. We are up in the states now looking to purchase a Westsail 32 for our own adventure to the South Pacific. We would love some educated opinion on what you have come across over the years about this particular vessel. Does anyone know what that approximate total cost would be to finish the Nor’sea 37? I’m guessing in the 350k range but I’m reluctant to call for details given that I’m ‘in the same boat’ as these fine blokes price-wise. Cheers!